My son carries the EpiPen 2-Pak® and we are big fans of Mylan (the maker of EpiPen) and their support of those with food allergies. One of my favorite things Mylan is doing right now is the $0 Copay Card. The card enables you to save on up to three EpiPen 2-Pak® or EpiPen Jr 2-Pak® cartons (with a maximum benefit of up to $100 per EpiPen 2-Pak®) every time you fill your prescription, now through December 31, 2015. The card is incredibly easy to download. I actually did it while sitting in the pharmacy parking lot before going in to get my EpiPen 2-Pak®. It has saved me so much money and for that I am particularly thankful as most of you know firsthand, it is not inexpensive to live with food allergies or dietary restrictions. Once you have your EpiPen 2-Pak®, you will need a way to carry it. While there are several different options available to you, with your registration on My EpiPen® (free) and while supplies last, you are eligible to receive a free EpiPen® 2-pack carrying case available in a variety of colors and patterns. The cases look sporty enough for a kid to proudly carry and it has clips for easy attachment to belt loops, backpacks, and more. But my favorite feature of the this carrying case isn’t the case at all, it’s all the information that comes with it. 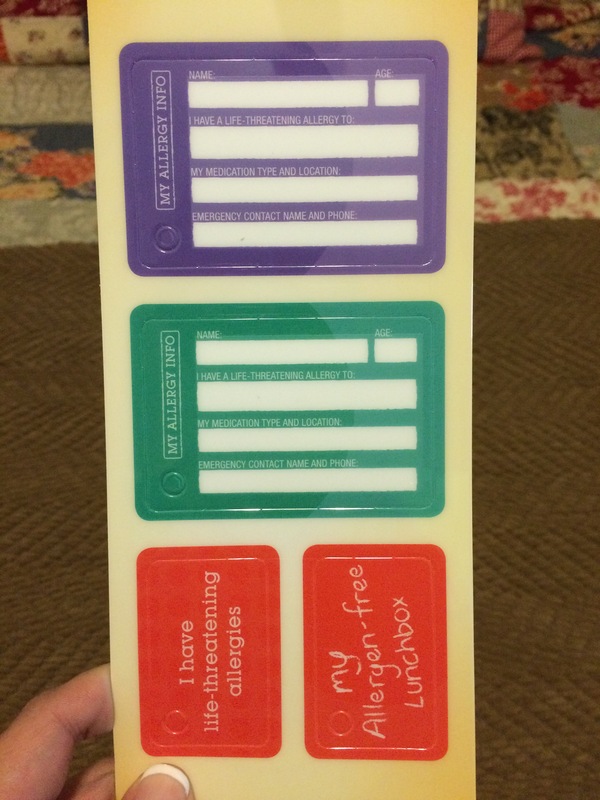 I simply love these allergy info cards that Mylan provides…all pre-punched for easy addition to key rings. 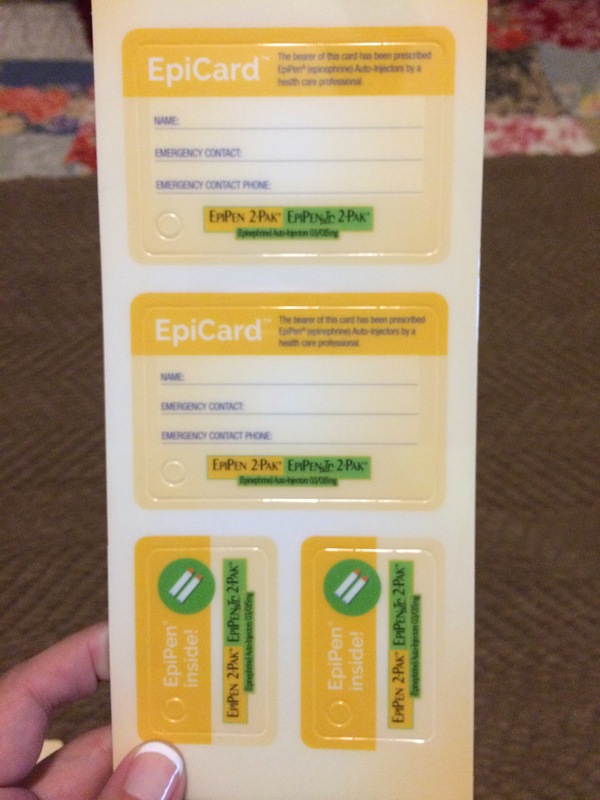 I also love these EpiPen® emergency contact information cards…also pre-punched for easy addition to key rings that come with the free carrying case. 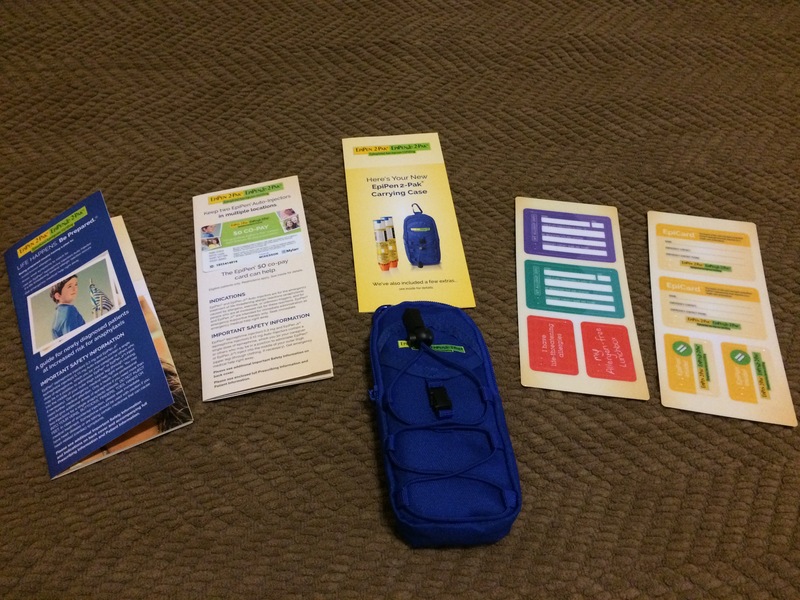 When you register for My EpiPen® you will receive the free carrying case and information cards AND you will receive expiration date reminders via email, the My EpiPen® email newsletter, and My EpiPen® free emails and information. My family and I are fans of Mylan because of their willingness to give back to the food allergy community they serve. Their $0 Copay Card and free carrying case are just a couple of the reasons why. Look for more information this summer on how Mylan is working to create awareness of food allergies and partnering with companies to provide families living with food allergies a better quality of life. Disclosure: While this information is readily available on the web, Mylan did discuss the above efforts at the Mylan Blogger Summit which was sponsored by Mylan, who paid for my travel related expenses related to my participation in the event. I am not a paid spokesperson for Mylan and am not required to blog about anything for my attendance at the Mylan Blogger Summit. My post above is a reflection of my personal view about the information Mylan presented. Hooray!!! I LOVE that they do this! We have to buy several packs of Epi Pens every fall for school, home, the car, etc… This program makes a huge difference! Thanks for letting me know it’s up and going again for 2015! It did take a while…closer to 6 weeks. 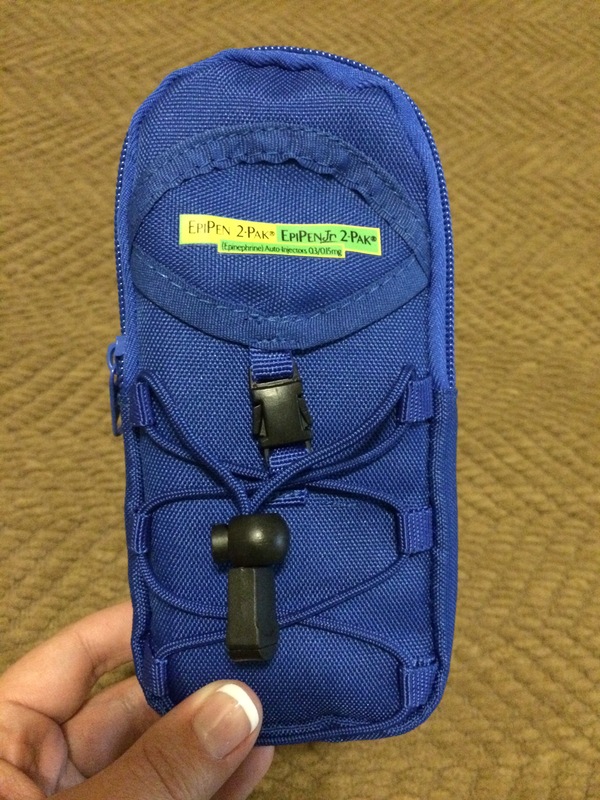 Another epinephrine carrier we use is SPIbelt in Austin, TX and their shipping is crazy fast! I was at my Allergy Doctors office today, I saw this case and fell in love with it. The Nurse told me to come to this Website so that I can receive a case that would hold and protect my Epipens. I need a case because I am always on the go!! How long ago did u submit it? It took quite a while for my case to come in. It took several months for mine to show, but it might not hurt to go to EpiPen’s website and contact them about it. I just did this and my cases arrived within a week or 2! FAST!!! I saw this case and fell in love with it. It is nice. I do not have it yet though. Trying to order it now. I filled out the form . But nothing shows up for a free carrying case for a eippin! Can you tell me wat. I really need 2 of them. ? This promotion ran some time ago and I have heard from others that they were unable to get these free packs from Mylan at this time. You might consider emailing or tweeting them directly with your question. I hope you are able to find a case that is a good fit for your son.